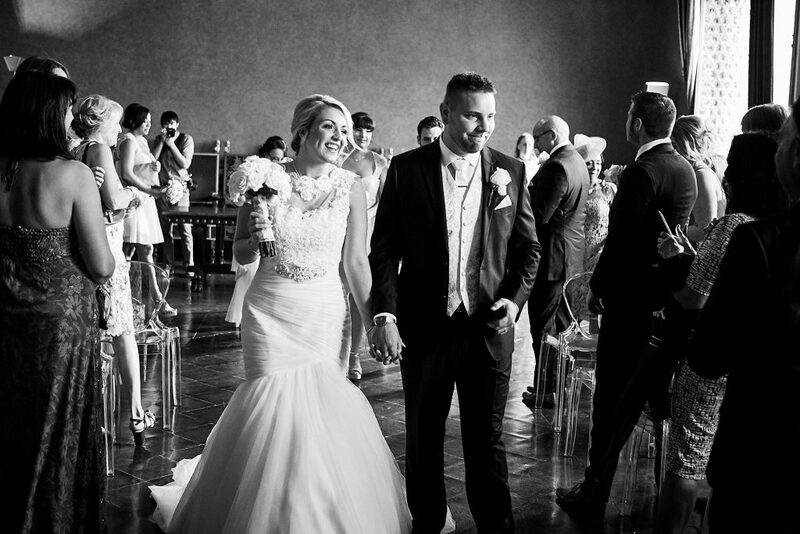 Home / Uncategorized / Kirsty’s Italy Wedding! Kirsty was a joy from the moment she came through our doors. Rosie loved helping her find her perfect dress, this taking a couple of appointments with Kirsty’s family dotted around the world! Once Kirsty found the dream gown she then began customizing her gown to make it amazing and even more perfect. Katie from Katie’s Sewing Room made her the perfect bolero with gorgeous lace and sequin detail. Finishing of with a stunning embellished belt. With everything now complete it was time for Kirsty to board the plane and go get married! As you can see from the photos it was a gorgeous day and all of us at Colin’s Bridal wish them all the best for the future. I can not thank you ladies enough!! Especially Rosie!!! The time and effort you all put into making my dress so perfect is unforgettable!! So so helpful! Every visit was a joy! I looked forward to my dress fittings! I will miss them!! Katie hand made my bolero and fay did such a good job on all the finishing touches to make me look like a princess!!! Not forgetting sue who made all the ties and pocket squares! You have 5 stars because 10 isn’t there! You will be very highly recommended girls. Love Mrs Thomson.